Drawing on cutting-edge neuroscience, Josh Davis, director of research at the NeuroLeadership Institute explains clearly that our brains and bodies operate according to complex biological needs that, when leveraged intelligently, can make us incredibly effective. From what and when we eat, to when we tackle tasks or disengage—how we plan our activities has a huge impact on performance. Davis shows us how we can create the conditions for two awesome hours of effective mental performance. It seems that every day is the same for most of us: too much to do, too little time to do it. In this hyper-busy, 24/7 world, author Josh Davis’ contention that we can regain control of our lives by being highly productive for two hours a day seems almost silly. 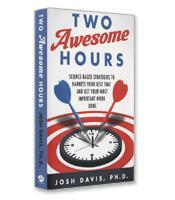 Yet in his book, Two Awesome Hours, Davis makes a compelling case that we can get most of the important work done in a total of two hours — or a similarly overall short amount of time (two hours, he explains, is not a magic number but representative of the small amount of highly productive period for which we should aim). The secret is to change the mindset of most productivity efforts, which is built on the concept of trying to be efficient for the entire day. The fact — as proven by science — is that machines and computers can be efficient for eight or 10 hours a day, but humans cannot. The brain is not a biological version of a computer microprocessor. You can’t just turn it on and off. It needs to rest. It becomes distracted — and that’s okay. In short, Davis writes, we need to stop trying to emulate the productivity of machines and instead work with our continually expanding knowledge of how the brain works. Based on the science of the brain, Davis has developed five productivity strategies that are designed for humans and not machines. Strategy 1. Recognize Your Decision Points. 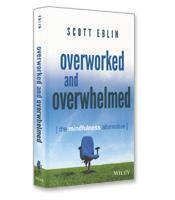 It may seem that the moments between tasks are unimportant and, in fact, unproductive. After all, you are not working. As a result, most people rush through what Davis calls “decision points,” those moments in the day when you are deciding what to do next. In their quest to be “productive,” however, people don’t give enough thought to what they should be doing next. They grab the first task they see and end up spending an enormous amount of time on a task that is of secondary importance. “There’s a time and place for the less important work, but leveraging your decision points will help you keep attuned to your larger priorities,” Davis writes. Strategy 2. Manage Your Mental Energy. Not all hours are the same. This is a major difference with machines, which will work the same no matter when they are operating or for how long. A brain will become tired, and different tasks have more or less impact on brain fatigue. Davis urges his readers to learn when their mental energy is at its peak; this is the time to focus on the most difficult of tasks. And they should be careful not to drain their energy just before that energy is most needed. Strategy 3. Stop Fighting Distractions. As with decision points, distractions are often seen as the enemy of productivity. In truth, they can be opportunities for regeneration and refocusing. That doesn’t mean reading the sports pages or cyberloafing on social media sites at will, Davis explains. However, daydreaming for a few minutes while looking out the window can send you back to the task refreshed and newly focused. Strategy 4. Leverage Your Mind-Body Connection. There is a tendency, Davis writes, to separate the mental from the physical. In truth, mind and body are connected, and this offers opportunities to help (or hurt) your mental capacity by how you treat your body. How, when and what you eat or drink, for example, can make a big difference in your mental capacity. Use the mind-body connection to your advantage, Davis urges. Strategy 5. Make Your Workspace Work For You. 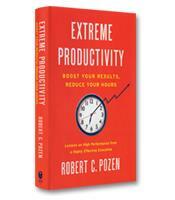 The right physical environment will also play a major role in your productivity. “You often can’t change the place where you work, but there are lots of little things you can do to ensure that your workspace is helping, not hindering your productivity,” he writes. In this quick and engaging read, Davis makes a compelling case that the secret for creating the conditions “for at least two hours of incredible productivity every day” is to forget efficiency and draw on the lessons from the latest research in psychology and neuroscience — two disciplines that have nothing to do with machines.